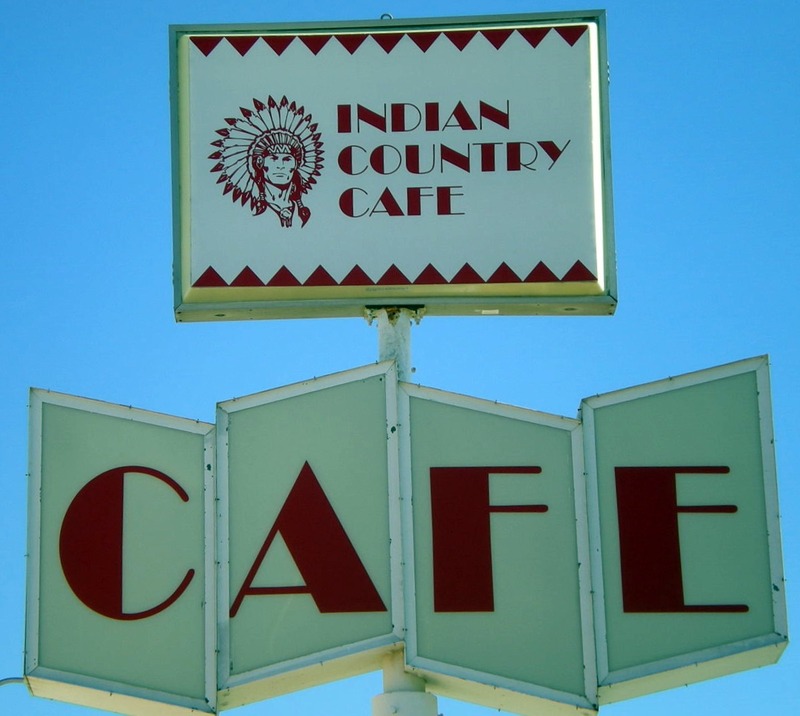 4/18/2012 UPDATE: Indian Country Cafe has closed. Western Kansas is wha tfellow blogger Mike and I jokingly refer to as a “barbecue desert.” This is a fictitious term relating to an actual term “food desert.” The term technically means any place more than ten miles from a grocery store. Cheese! More to come, I promise. In the case of good barbecue, the desert is much larger in western Kansas. In fact the distance is probably closer to one hundred miles than it is to ten miles. One rare barbecue oasis can be found in the small town of Hoxie, Kansas, on the high plains of Sheridan County. My friends Clint and Jessica Milliman introduced me to the Indian Country Café and a pork lovers delight, the Porky Fries! 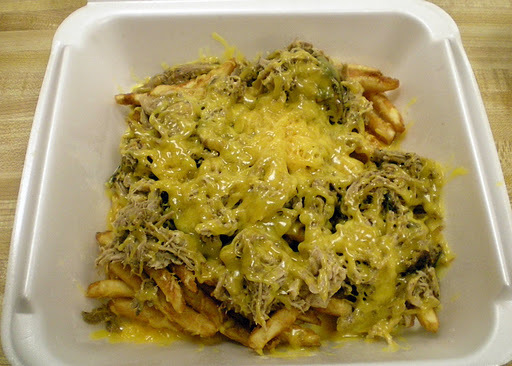 Porky Fries are a dish not for the weak of heart – literally. I fear to think how many delicious calories are in this dish. In fact, I would suggest you bring a friend because this is a dish certainly big enough for two! Porky fries start out as a delicious bed of perfectly seasoned french fries. Next they add a layer of smoked pulled pork and then the whole thing is topped off with a generous amount of melted cheese. 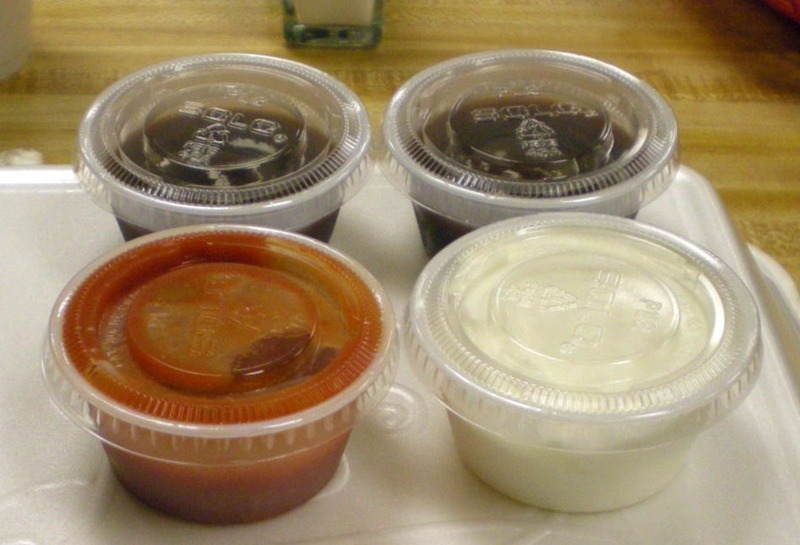 As if that isn’t enough, you get your choice of additional toppings including plenty of barbecue sauce, hot sauce and sour cream. The restaurant, which takes its name from the local high school mascot, is located in an old grocery store building, so seating is plentiful and hometown pride is evident. 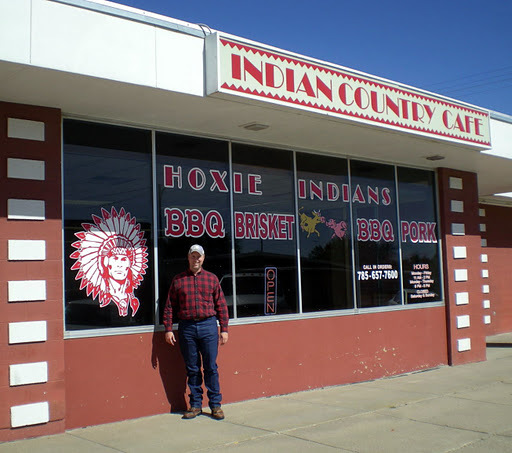 If you ever find yourself lost and wandering in the western Kansas barbecue desert,just point your taste buds towards the Indian Country Café. Your hunger will certainly be quenched with an order of Porky Fries! Until next time- Swine and Dine!